Udta Punjab Movie: Trailer Out Now! And It's Very Promising! Udta Punjab Trailer starring Shahid Kapoor, Kareena Kapoor Khan, Alia Bhatt and Diljit Dosanjh is receiving great response from all over India. Comment below and let us know if you liked the trailer. 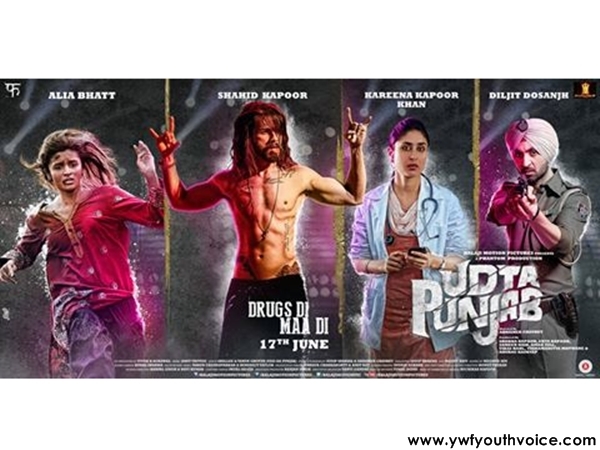 Youth Voice: Udta Punjab Movie: Trailer Out Now! And It's Very Promising!